Psyonix’s Rocket Pass 3 for Rocket League has just received an official release date. Rocket Pass 3 will include new items to collect, and new weekly challenges to complete, with the event beginning on April 17, 2019 and ending on July 29, 2019. Weekly challenges will rotate regularly and are available to all owners of Rocket Pass 3 whether you have the Premium Pass or the Free version. With Rocket Pass 3, when you play online matches and complete challenges you will earn XP to level up, earning unique rewards exclusive to the Rocket Pass along the way. If you purchase the Premium Rocket Pass you will be granted a 50% bonus to all XP earned, and as you level up your Pass you will be able to unlock 70 unique rewards, including a new battle-car, keys, goal explosion, and more. With the Free version, you can still earn 20+ rewards simply by playing online matches, so don’t be discouraged if you aren’t able to pick up the Premium Pass this time around. 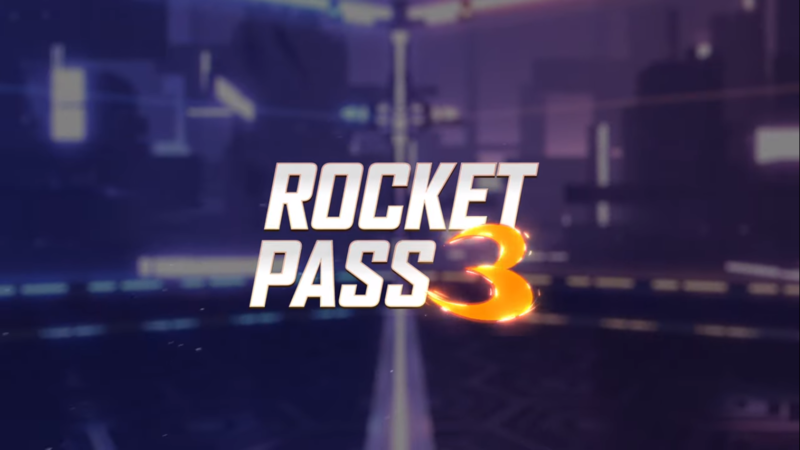 Check out the new trailer for Rocket Pass 3! The Premium Rocket Pass can be purchased for 10 keys. You can either buy more keys through the in-game menu, or use your existing key balance to purchase the Premium Pass and gain access to the above mentioned 70 unique rewards. It has also been explained that players who own the Premium Pass will be able to progress past tier 70 to earn even rarer items titled “Pro Tier” items. These Pro Tier items consist of various different versions of certain Rocket Pass rewards. You can earn “painted, certified, and special versions” of items, meaning you can show off all of the unique gear you earned in online matches with other players, or private matches with your friends. Are you going to be picking up Rocket League‘s Rocket Pass 3? Let us know in the comments below!